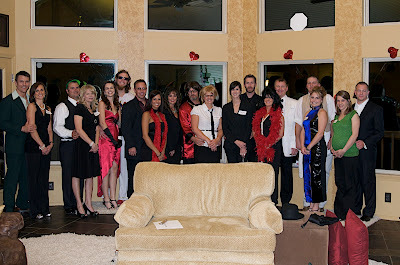 We got invited to Rod and Juleah's annual Murder Mystery Party and we had a blast. Here is a picture I took of all those that were at it with there costumes and all. It is so cool having great christian friends to be able to hang out with and have fun. I'm already looking forward to the next one Juleah puts on.